About Us - Design Directions Pvt. Ltd.
Our designs make sense on two levels. First - the emotional level of appealing directly to the customer's instincts and aspirations; and second - the technical level of re-developing new products which can be manufactured and marketed successfully. We begin by formulating design strategy and back it by thorough research. We have a talented team of business strategy advisor, industrial designers, visual communicators, animators and programmers. Our designs create bonds with customers, consumers and users. Alumnus of National Institute of Design, Ahmedabad. More than twenty five years of design experience in product design. Past member of the India Design Council established by the Government of India, functioning under the aegis of Department of Industrial Policy & Promotion, Ministry of Commerce & Industry. 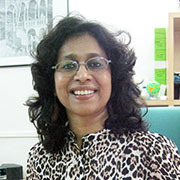 Education council member of MIT School of Design and School of Fashion Technology, Pune. Invited to various seminars, conferences all over the world – importantly by Industrial Designers Society of America at Palo Alto – USA, as one of the six global thought leader to talk on the subject, 'Design for the other Six Billion'. 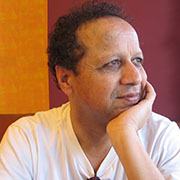 A jury member for various Design Awards in India and overseas – IDSA (USA), South African Design Council, Singapore Design Council, ‘I’ Mark etc. Have conducted several master programmes as a visiting faculty at NID (National Institute of Design), Industrial Design Centre – IIT (Mumbai and Kanpur), Indian Machine Tool Manufacturers association, IMTMA, Indian Institute of Sciences, IISC, (Bangalore), DSK ISD Pune. Alumnus of National Institute of Design, Ahmedabad. More than twenty three years of design experience. Nurtured Design Directions, a product & communications design studio in association with Satish Gokhale. Finished Visual Communications projects for leading companies in FMCG, IT, engineering, and NGOs delivering Corporate Identity, Packaging design, Sales & publicity collaterals and Annual reports. Packaging , sales collaterals, and User Interface Design projects resulted in better brand recognition and sales growth - received testimonials from clients. Received several Design Excellence Awards. An artist, a painter – done own and commissioned paintings. Exhibited in Singapore, South Africa and India. Designed calendars for UNICEF, printed by its HQ, New York and designed and created many socially relevant communication for UNICEF. 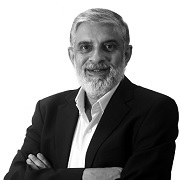 Alumnus of IIT Bombay, over three decades of experience in R & D, engineering, manufacturing, marketing & sales, general management, brand & leadership development in multinational and large Indian companies. Specialist in Brand & Communication Strategy and User Interface & Experience Design. His projects helped clients in better brand recognition and higher sales through user referrals. Many of these projects won Design Excellence Awards. Specialist in business strategy, business process breakthroughs and leadership development – developed tools and processes in these areas. Consults in for business strategy, business process breakthroughs & leadership development. Set up online and on site leadership coaching programs for senior level and top level managers (leadtoregenerate.wordpress.com). Set up Learning Leadership online and on site leadership coaching programs for senior level and top level managers (http://www.learning-leadership.com). Wrote a self learning program book 'Lead to Regenerate' https://leadtoregenerate.wordpress.com/lead-to-regenerate/). Founded a startup Industrial Electronics company and established it as strong industrial brand.